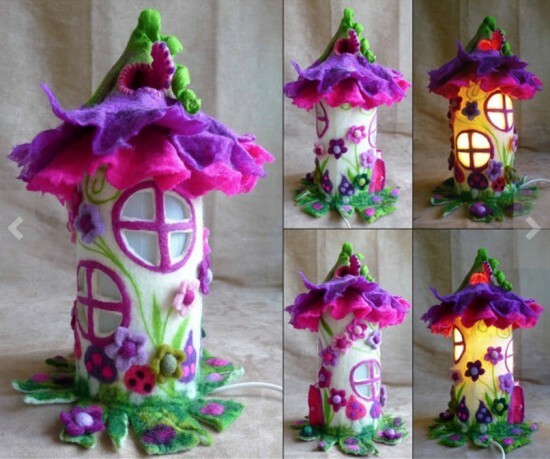 These Fantastic tiny Fairy House will bring a bit of fairy tale magic in your kid’s room. 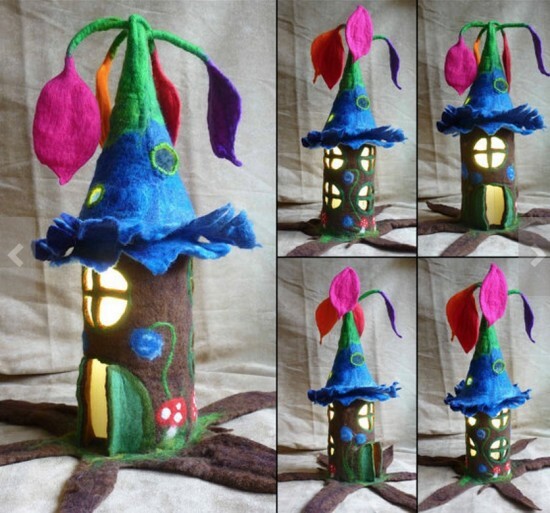 The felted fairy houses I saw on Etsy earlier are so lovely and dreamy. 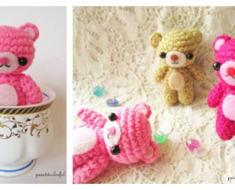 Handmade items that are available for purchase. 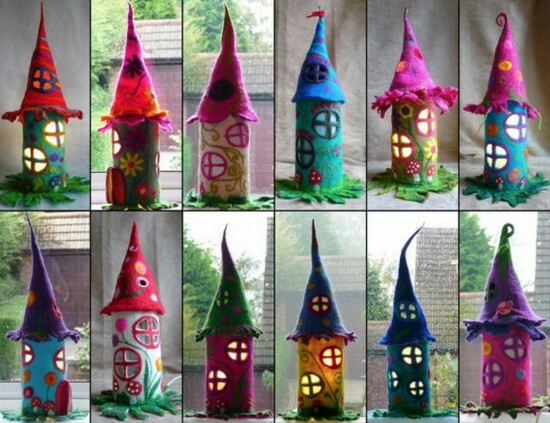 Although these adorable Felted Fairy Houses are for sale on Etsy – they are great inspiration and you could easily duplicate them yourself. 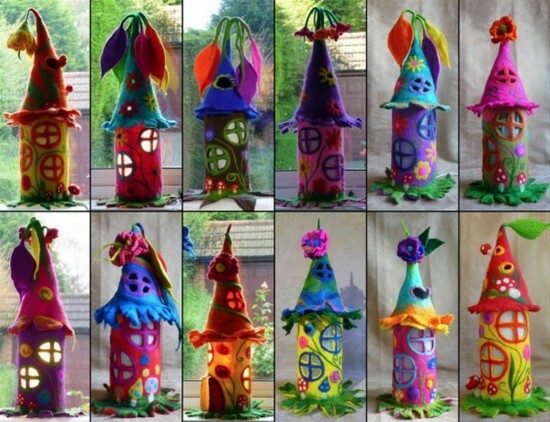 You could use Paper Rolls as a Base or Felt,even plastic bottles. 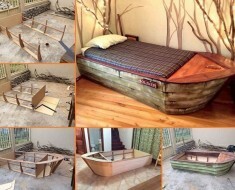 With a light bulb inside to illuminate the whole thing, the idea has proven to be genius between home decorators. 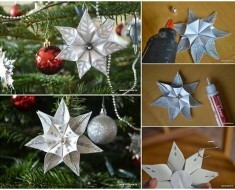 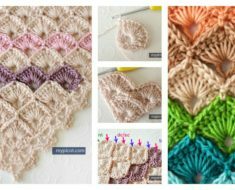 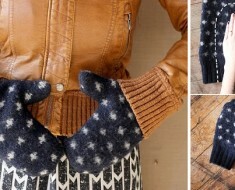 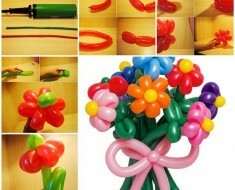 If you think the challenge for making such items is one easy to tackle, then feel free to give it a try. 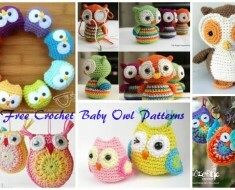 Otherwise, just go on Etsy and order a piece from there. 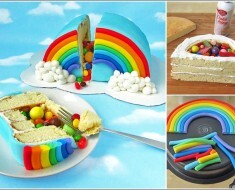 An entire range of colorful options are on full display to choose from. 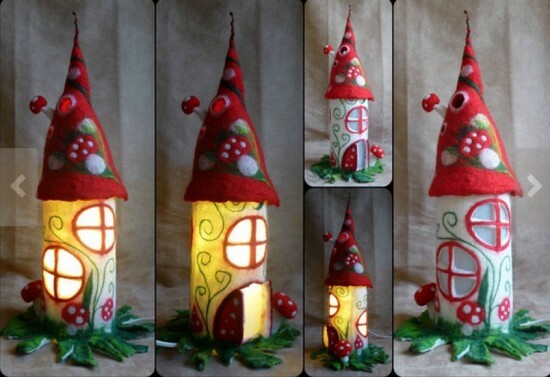 Your home décor will have such a definite fairytale ambient afterwards a few of these adorable mini fairy houses are guarding your windows. 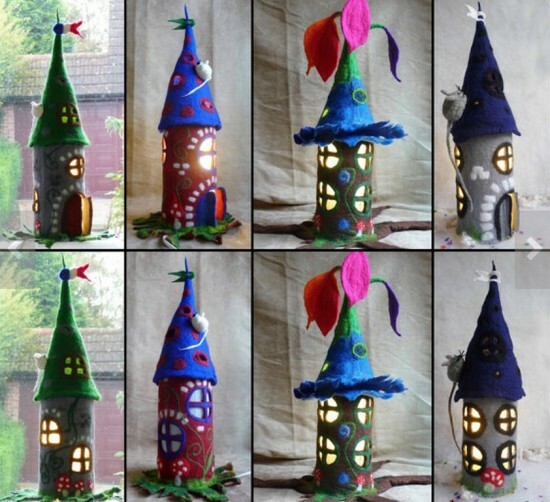 Here are more fairy houses for your inspiration. 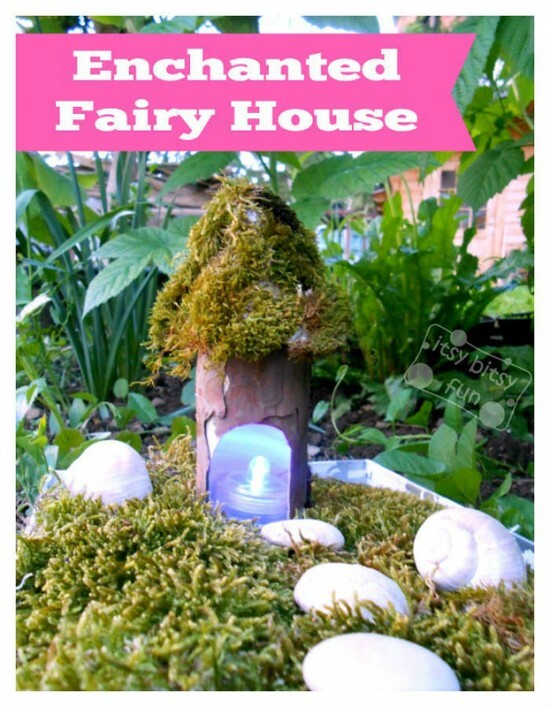 Scroll down for the DIY tutorial on how to make your own fairy house. 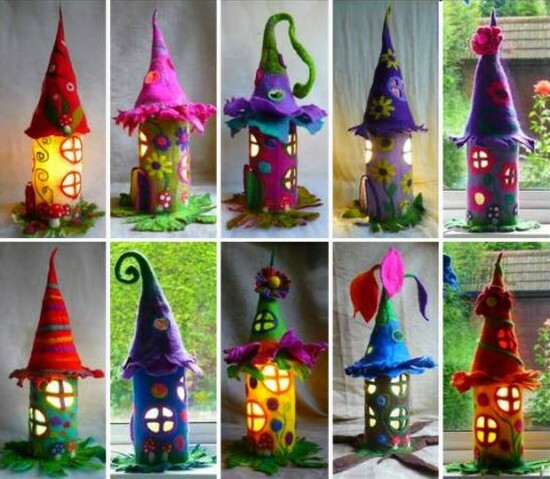 Also check out the DIY Paper Roll Fairy House video tutorial.